The New York State government is supposed to be democratic, but in actuality, it has been a dictatorship under Andrew Cuomo. 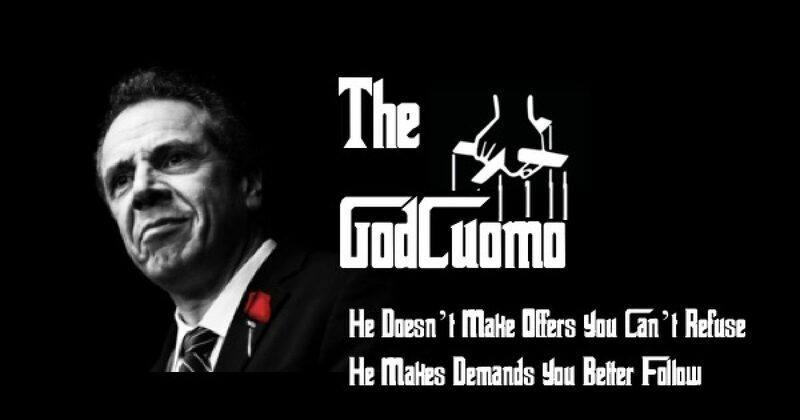 Since “the GodCuomo” became governor in 2011, he has acted as a supreme leader instead of an elected official. The GodCuomo’s latest target is the second amendment to the U.S. Constitution, but his record of tyranny goes further back. This weekend news broke that the National Rifle Association is in “deep financial trouble.” How can this possibly be? It has four million members (including me) and is one of the most influential Second Amendment rights groups in history! Trending: 2015 Saga: Is This Weekend Where John Brennan And Bill Clinton Started Spying? The [NRA] group says it is under such financial distress because New York Gov. Andrew Cuomo has convinced a number of financial service providers, banks, and insurance providers against doing business with the gun-advocacy group. As a result, the NRA claims that it will be forced to end its magazine publishing and television services, and will be forced to curtail rallies and potentially shutter some of its offices. It’s not a matter of reputation or public safety it’s a matter of the despotic Andrew Cuomo’s threatening, dictatorial style and silencing his opposition. Rolling Stone reports the NRA is close to going under because thanks to the GodCuomo, they can’t find insurance companies to work with. The complaint says the NRA’s video streaming service and magazines may soon shut down. The whole thing stems from actions taken by New York financial regulators to hat the sale of the NRA’s insurance products. The insurance is called “Legal Guard” and helps holders pay for fees associated with their legal use of a firearm. But in May the left-wing state of New York decided that the policies were illegal under state law. Then assessed a seven million dollars fine against the NRA. The NRA says this is all just a politicly motivated attack and aimed at destroying them. The group also alleges that New York illicitly went father than just the insurance policy attack and tried to force a wide range of financial services (such as banks) to sever ties with the gun rights group. Understand this isn’t just about the Second Amendment, the GodCuomo is trying to silence an organization whose views differ from his. His treatment of the NRA is merely the way Andrew Cuomo “rules” —by executive fiat. The mayor made the comments during a visit to a housing project in Brooklyn and emphasized that he was reacting to reports that Cuomo threatened progressive groups affiliated with unions in the Working Families Party. In May he decided by himself to ban any new natural-gas-fired power plants. That statement goes with Cuomo’s decision to ban fracking in NY State costing the state millions in tax dollars. But the GodCuomo said no, no, no. The sick part is that while Cuomo has taken it upon himself to ban fracking in NY, it buys natural gas from Pennsylvania which comes from fracking. 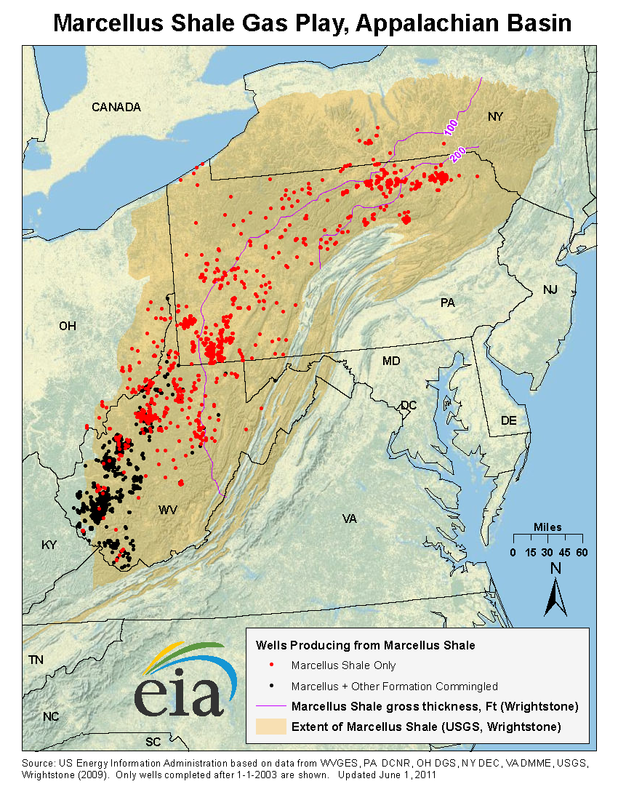 Ironically the shale field Pennsylvania gets its gas from is also in NY. But Andrew Cuomo is a dictator, so he made the decision on his own. When NY State “toughened” its gun laws in 2013, he didn’t allow state legislators time to read the bill. McLaughlin and other Republican legislators have bashed Cuomo for waiving the normal three-day waiting period between printing and allowing a vote on the bill — which toughened New York‘s gun laws in the wake of the Newtown, Conn., school massacre. Cuomo used a “message of necessity,” which allows an immediate vote — and thus little public debate. When the State is run by a dictator, tyrant, GodFather, or whatever you want to call him, you don’t really need a legislature, Andrew Cuomo demands, and the legislature follows. Other Andrew Cuomo dictatorial acts include issuing conditional pardons to over 24K parolees including cop killer Herman Bell so they can vote, allowing anti-Semite Linda Sarsour to give the graduation address to CUNY, allowing illegal immigrants to go to the state’s universities taking places from New Yorkers and other American citizens, Andrew Cuomo’s FY ’19 budget proposal calls for a state-level “Dream Act” that would make illegal immigrants eligible for the state’s new free-tuition program. And then there’s the Morland Commission. It was a public entity created by New York governor Andrew Cuomo in July 2013 under the state’s Moreland Act, with the aim of investigating politicians and political organizations in New York for violations of state laws regulating elections, campaigns, and political fundraising. He dissolved the commision the next year because they wanted to look into the governor’s office. Media reports alleged that Lawrence Schwartz, the secretary to the governor, barred the commission from issuing subpoenas to organizations with ties to Governor Andrew Cuomo. Have you noticed that Cuomo acts the way liberals accuse president Trump acting like? The difference is that Cuomo works that way and doesn’t get any blame or negative coverage, Trump doesn’t act that way but gets the negative press and accusations. Now Andrew Cuomo aka The GodCuomo is going national by trying to destroy the NRA. Will Republicans in power let him? Can they pass a bill protecting the NRA’s first amendment rights? Will the courts protect their rights? The NRA doesn’t only protect gun rights, but it protects all of our Bill-Of-Rights freedoms, they should not be allowed to go bankrupt despite what the GodCuomo says.